The Outriders Society is the official volunteer organization of the Kentucky Derby Museum. The purpose of The Outriders is to spread our mission, enhance the image of the Museum throughout the community and assist the team. The Outriders offer support by participating in research and cataloging, preparing mailings, greeting guests, helping staff with special events and administrative responsibilities and so much more. We greatly value our volunteers who are willing to share their time, expertise and experience. In 2018, The Outriders Society volunteers donated over 4144.25 hours of service to the Museum, an equivalent of $102,321! Their service is invaluable and so appreciated to continuing our mission! The Museum offers volunteer opportunities for teens and adults of all ages. 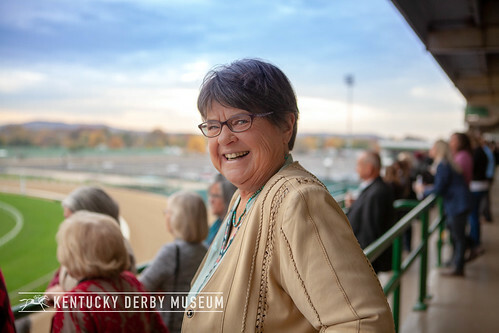 Ready to volunteer with the Kentucky Derby Museum? Fill out this online application. There are Society and Membership dues associated with this position. For more information on The Outriders Society volunteer program, contact Julie Henry.